LOTUS is manufactured using traditional casting techniques which have been passed down through the generations for over 400 years in Takaoka City, Toyama Prefecture. Capitalizing on flexibility of 100% pure tin, an unique crackling sound called Tin Cry may be heard when changing shape. 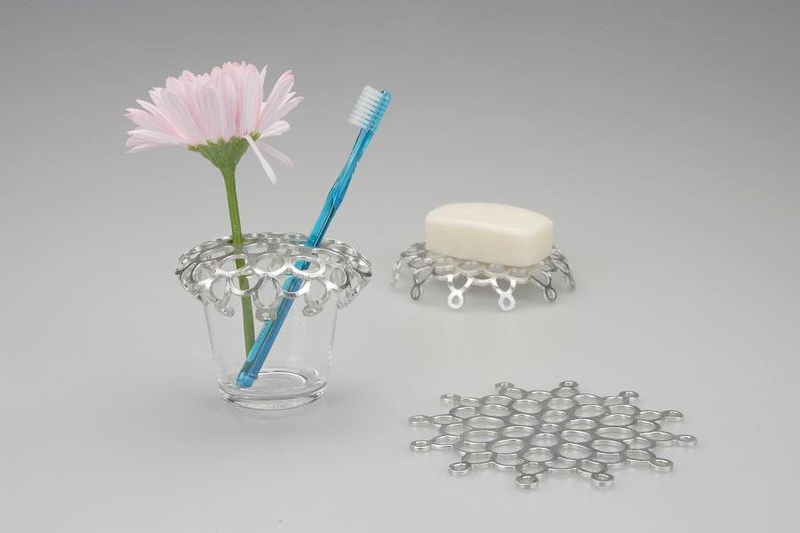 Adding your idea, it can be used as a soap tray, flower vase, candy container, towel holder, snack tray, accessories tray, etc.